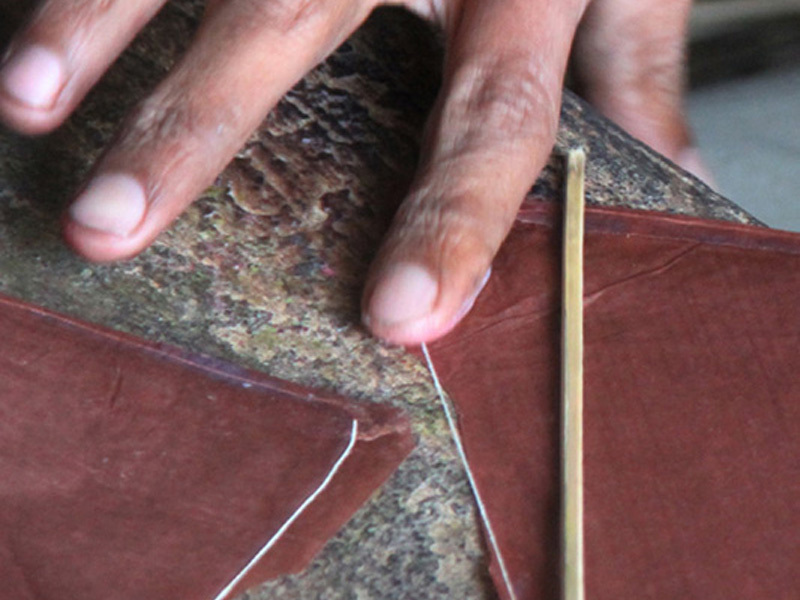 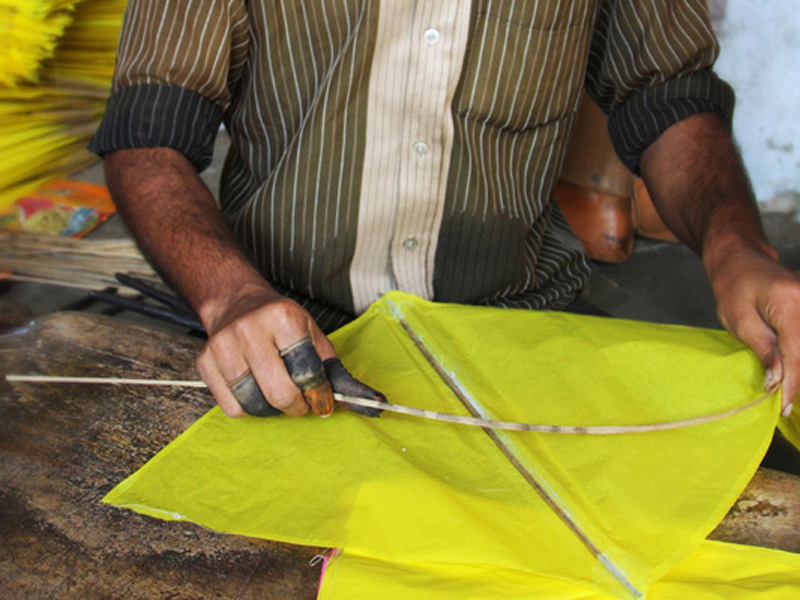 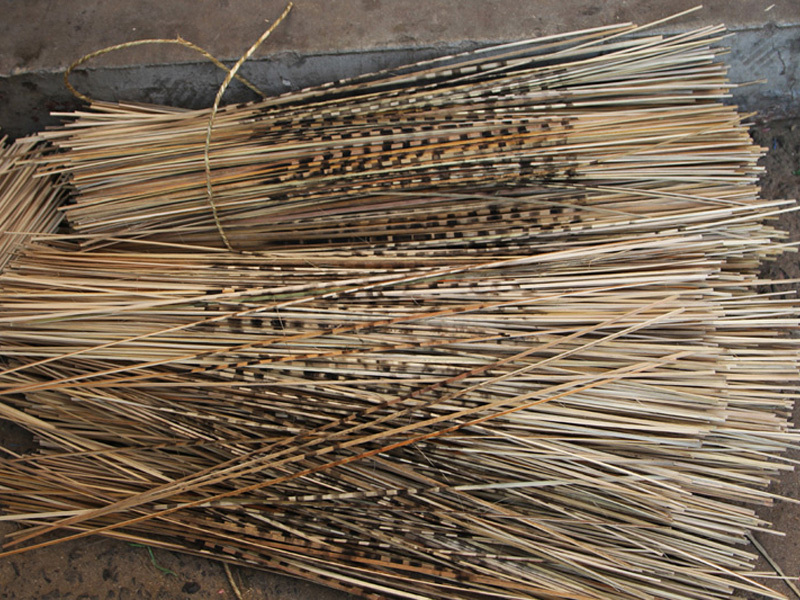 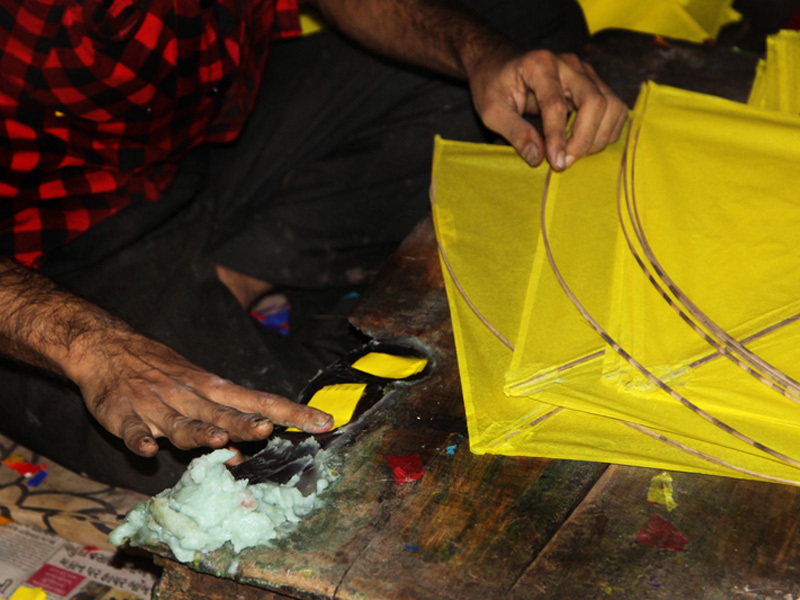 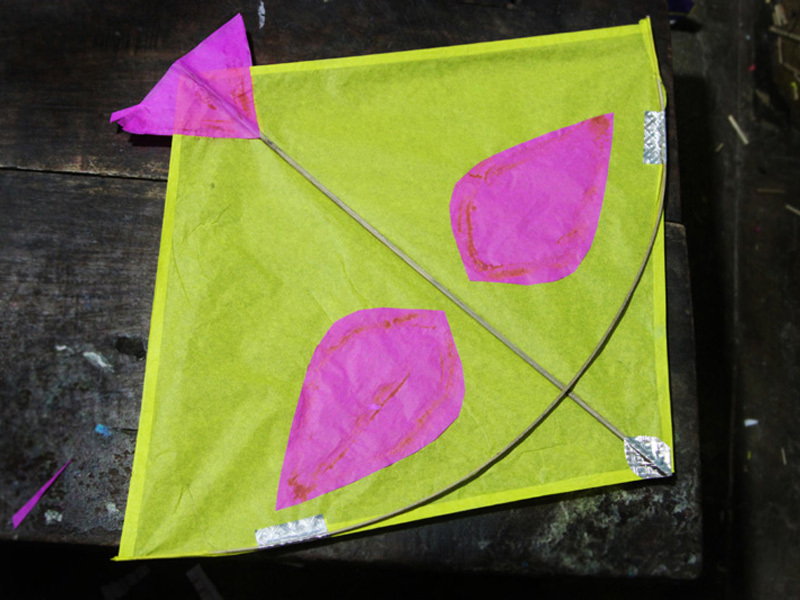 The kite papers used in making kites are locally known as “Thirveni”, are very light weighted. 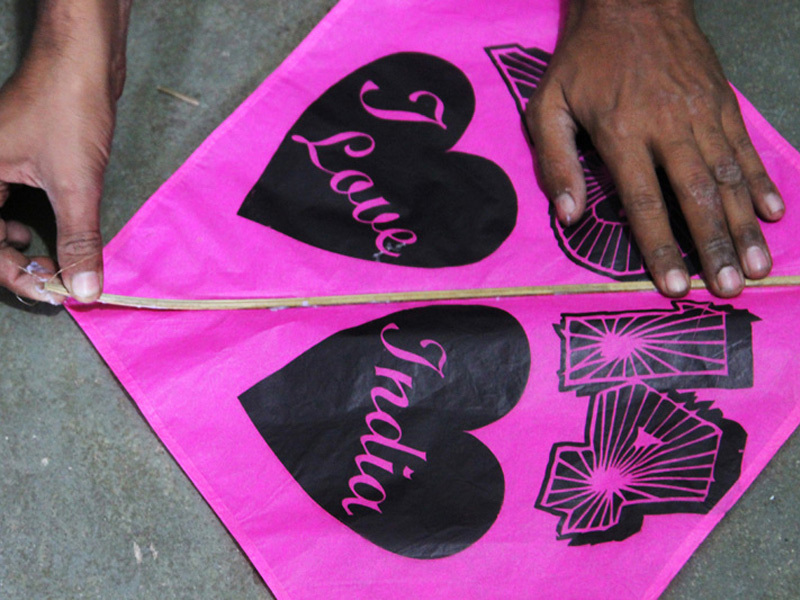 Stencils made of cardboard piece, shaped as kite is used to get the proper measurement to make a kite. 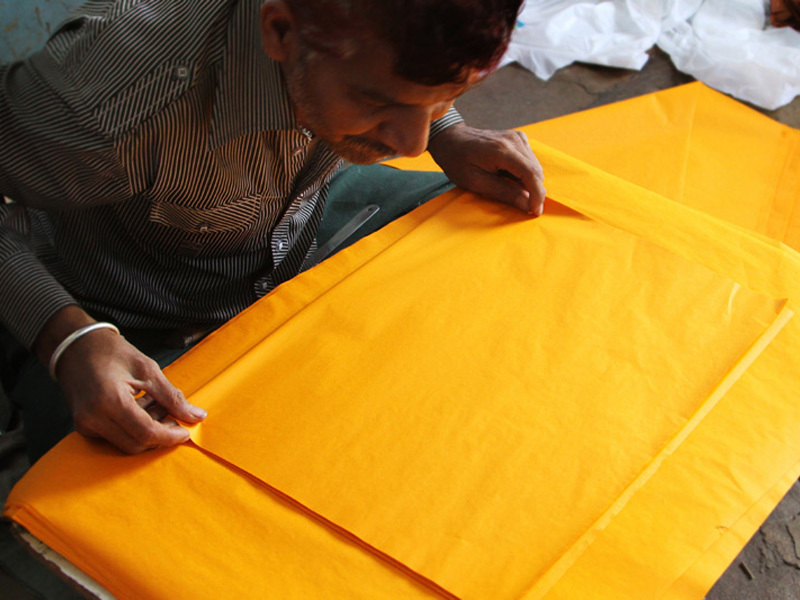 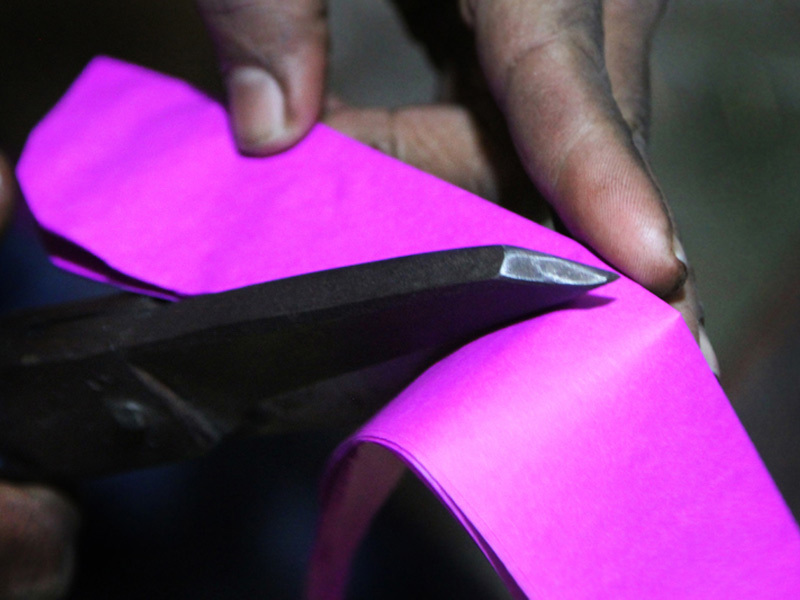 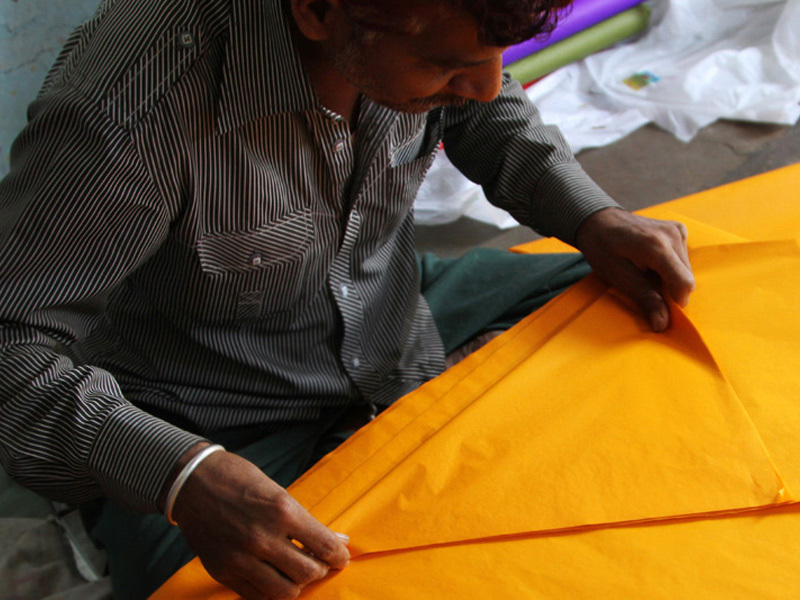 After cutting thin cotton thread is pasted on the sides to avoid the paper from tearing or to prevent it from getting torn while flying the kite. 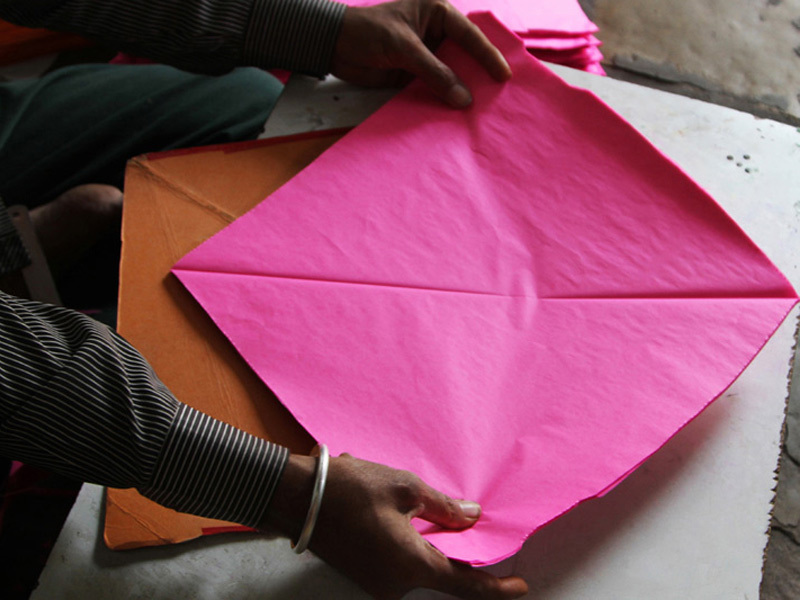 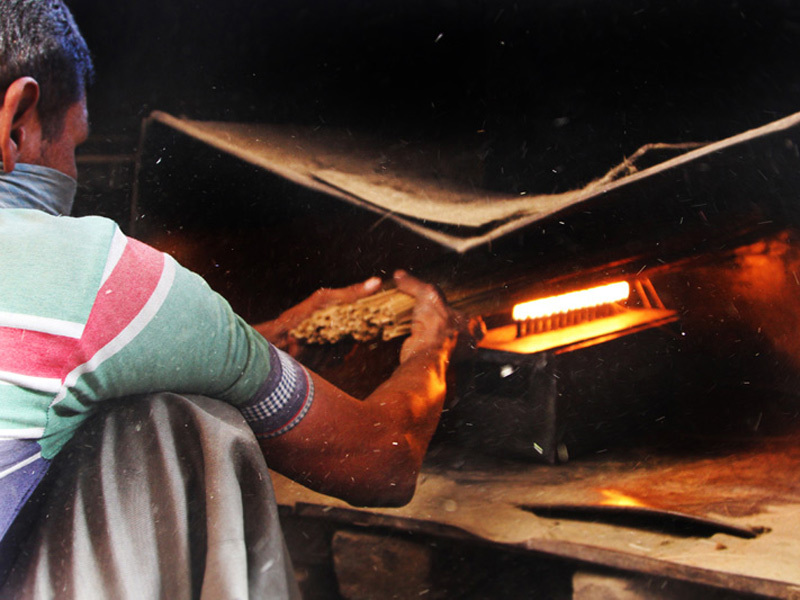 The craft paper is diagonally folded into two equal halves. 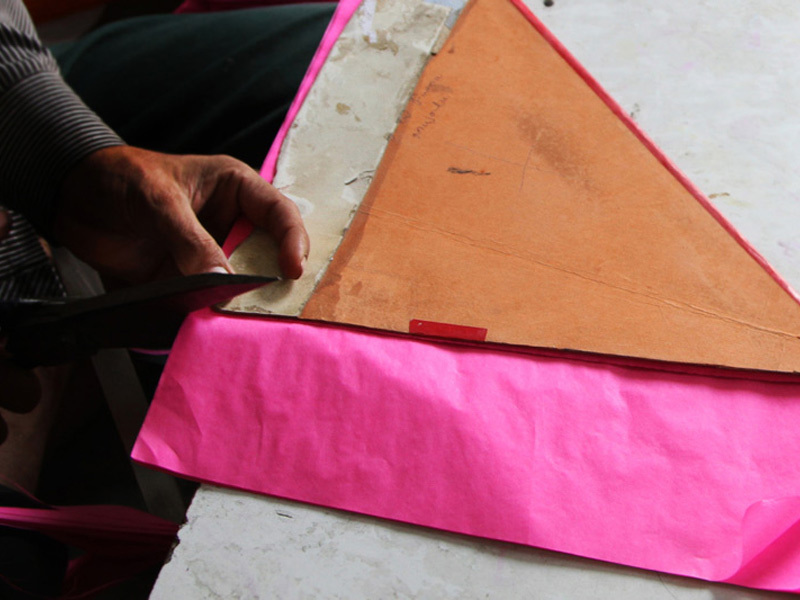 The designs patterns are made using different colorful papers separately and pasted on these craft papers.